Molly Costa in Mrs. Silvia's Second Grade filled her Awesome Behavior Punch Card! 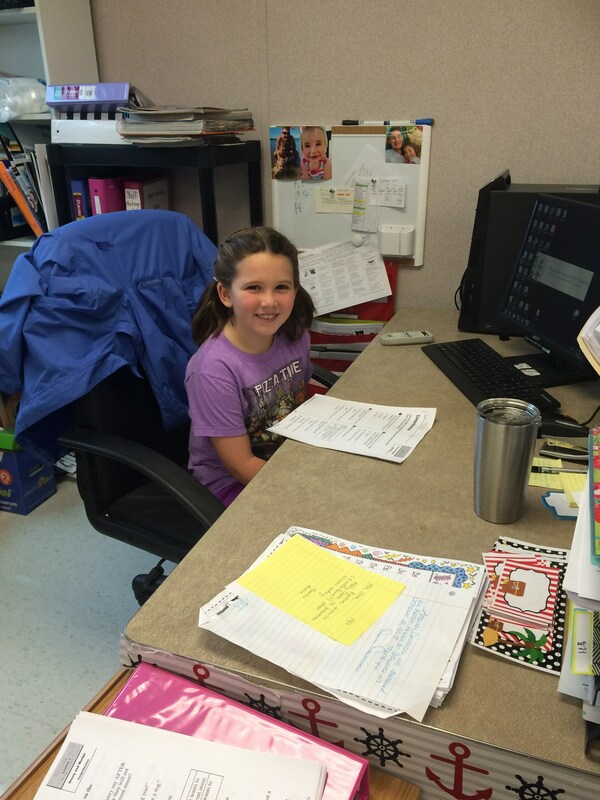 She earned a "Sit at the Teacher's Desk" coupon for her excellent behavior! Way to go, Molly! 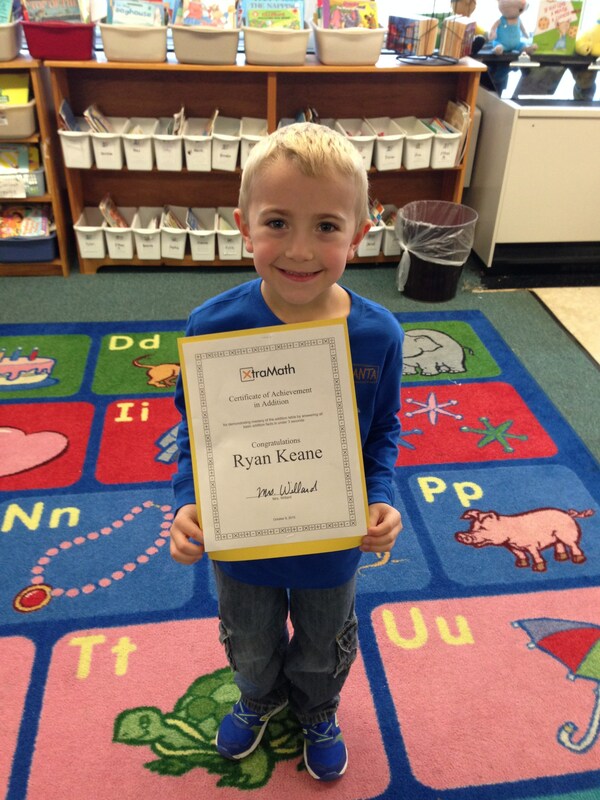 Ryan Keane in Mrs. Willard's First Grade Class has already mastered his addition fact on XtraMath! Nice job Ryan!